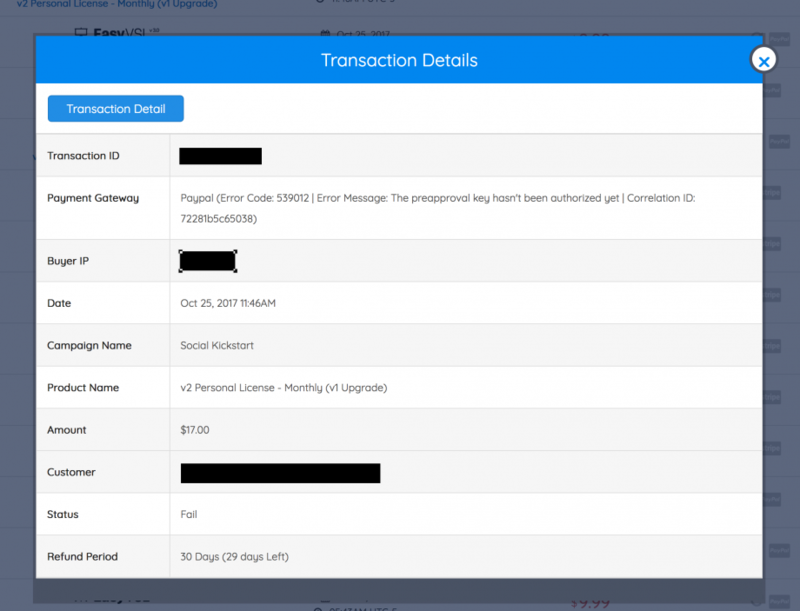 Why Do I See Failed Transactions & What Do the Errors Mean? Many PayKickstart vendors new to the platform are alarmed when they see Failed Transactions (can be found under “Transactions” >> “Failed”). Keep in mind that this is typically a normal thing. Many vendors are coming from other shopping cart platforms that simply do not provide this level of insights like PayKickstart does. Since our main goal is to help you grow your business, we want to be fully transparent about each and every sale that you transact. On average, approximately 15% of customers transactions fail, for one reason or another. The majority of the time the customer entered the billing details wrong (ie: wrong exp date, cc #, cvv). Then, they correct it and the successful transaction is completed after they are made aware of the wrong billing details. We provide the information for each of these failed attempts, as well as the successful attempts. Also, we provide you with details on WHY each transaction failed. The reason provided comes directly from your Payment Gateway, and we show this to you in the Transaction Details. It will look something like this. Whenever a transaction fails, PayKickstart will do its best to try to Save the Sale. Which means that 5-10 minutes AFTER the transaction fails (and that same customer does not have a successful purchase), we will send out a “Payment Failed: Pending Order” reminder email to ask them to try again. Whenever a rebill/recurring transaction fails, PayKickstart will again do its best to try and save the sale. Which means an email will get sent out to the customer to “Update their Billing Details”. You can set up the frequency schedule for the Subscription Saver by going to your Platform Settings. 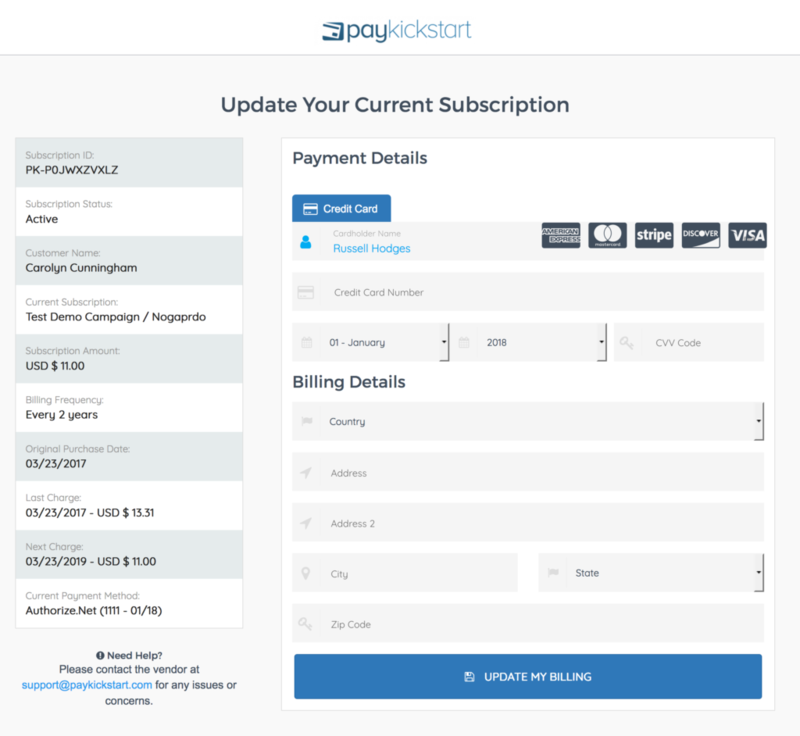 Locate “Subscriptions” and then you can adjust how you want PayKickstart to handle failed rebills. If you choose to send out an email reminder to Update Billing Details, the customer will be sent an email with a link to update. They will click on the link and will be taken to a page that looks like this to update their subscription. Depending on your Subscription Saver settings in Platform Settings, you may see the same transaction in the Failed Transaction list a few times, as we can try up to 4 times to charge the billing details we have on file. If you are using Paypal to process orders, here is a list of errors you may see. Error: This transaction cannot be processed. Please enter a valid credit card number and type. This error occurs when the customer entered the wrong credit card #, Expiration Date or CVV code at checkout. Error: The preapproval key hasn’t been authorized yet. This means the customer has not accepted the Paypal preapproval key that allows Paypal to bill the customer. This could happen if a customer goes to the Paypal checkout page (where they login to their Paypal account), but then they do not complete the purchase from there. Error: Customer did not complete the purchase inside PayPal. This means that the customer started the checkout process (got to the Paypal screen) but didn’t complete the checkout process. Error: The preapproval key has been canceled. This error is typically for rebills and occurs when the customer has cancelled the preapproval key inside of Paypal, blocking the ability for PayKickstart to charge the customer. Error: PayPal throws an undefined error while processing the payment. Unfortunately Paypal does not provide any further insights into this error. 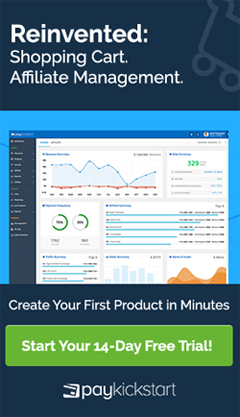 The customer started the checkout process, yet never completed it as they never approved it inside of Paypal. Important to Note: If a “Correlation ID” was provided by Paypal, we provide that as well, which provides more details as to why the error took place. Unfortunately only Paypal is able to provide more detail on each Correlation ID. Most of the time it has to do with the customers’ Paypal account. But it’s best to contact Paypal support to find out exactly what that Correction ID error means. Also you can check to ensure that there are not any outages within Paypal by going to https://www.paypal-status.com/product/production. If you are using one of our Credit Card gateways to process orders, here is a list of errors you may see. Error: Your card was declined. This means the credit card processing company (Mastercard, Visa, AMEX, Discover) declined the payment. Typically this is due to not being enough credit/funds available OR fraud protection by the credit card company. The customer may need to contact their credit card company to allow the payment to be accepted. This error is a bit vague, but typically for one of the following reasons; the card is not supported by the payment gateway, there are not enough funds on the card, or its an invalid card. Error: Your card has insufficient funds. This means that there were not enough funds on the credit/debit card to pay for the product. More info about Paypal Failed Transaction Error Codes. More information about Stripe Failed Transaction Error Codes. More info about Authorize.net Failed Transaction Error Codes. More info about Easy Pay Direct Failed Transaction Error Codes. How Can I Issue a Partial Refund? What Does it Mean to “Verify” an Affiliate?